great performance, great discussion. interesting how Aviv Gefen always takes the discussions to religion and God when there is a religious contestant.. I am just going to leave this here.. and mention that besides for a few nuances and points, nothing Kerry said was radical or new, and many Israeli politicians (specifically the ones who keep getting voted against) hold similar views. WHat upsets many is that this administration is doing this 3 weeks before leaving office with no ability to lead the peace issues in this direction. They should have been doing this for the past 8 years. It might have upset us then too, but at least they would have been honest about their views and work towards their goals and methods to make peace. Doing it now is just dishonest and backstabbing. A New York Police Department Chaplain was just promoted to 3-star chief. This is the highest position ever attained by a chaplain in the NYPD. Rabbi Alvin Kass is the honored chaplain. the Jewish Voice NY mentions that Rabbi Kass once defused a hostage situation with pastrami sandwiches. Maybe he can figure out how to solve the conflict in the Middle East in a similar fashion..
After Friday’s ceremony, Kass told reporters about how he was called to the scene of a Midtown office building in 1981, to address a suspect armed with a gun who had relayed to police that he was Jewish. A woman was being held hostage by the suspect after she rejected him. By the time sunrise came around, the hostage-holder was rather hungry. A Christmas sher, a Chanukah carol, a musical dialogue between Rabbi Marcelo Polakoff and Bishop Monseñor Pedro Torres, with musical production by Fernando "Rahe" Israilevich. A greeting of good omens for the whole world. nothing will be done [about possibly annexing territories] until after Trump becomes president. We will coordinate everything with him. The key is, and the Palestinians need to know this, we cannot achieve peace between us without direct negotiations, without agents, without pre-conditions and with unilateral steps.. According to Kikar, there is shock in Bet Shemesh regarding the opening of a Yeshiva High School in the city. According to the article, a yeshiva tichonit was opened in Bet Shemesh and the Haredi gedolim in the past have come out against such instititutions and a group of rabbonim, from the "entire spectrum" of the Haredi community - from the Eida all the way to the Litvishe rabbonim, have signed a letter against the opening of this yeshiva tichonit. 3 yeshivas are mentioned specifically -Arzei Levanon, Mesivta Bet Shemesh and Meorot. 1. The pashkevil they post actually went up at least two weeks ago. This is old news. I would also note that while I saw a copy of the pashkevil posted a couple of weeks ago online, I could not find any in the usual places and nobody (at least those I asked) who posted it had seen the original. 2. no new yeshiva tichonit (that I know of) has opened in Bet Shemesh recently. Of the three listed, Meorot happens to be relatively old, around for many years. 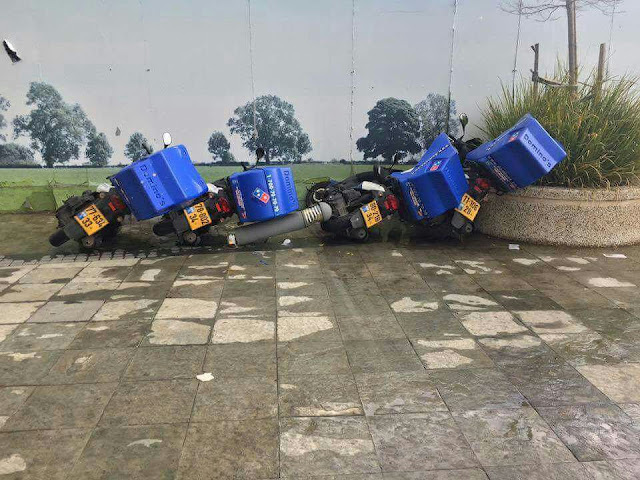 Mesivta Bet Shemesh has been open over 5 years. Arzei Levanon is now in its third year. I wonder why the protesters just woke up now about this, or if they were simply having a boring week and decided it was time to recycle this issue. 3. "storm" in the title of the Kikar article seems a bit strong, since besides for the pashkevil I haven't heard a word around town nor have I seen protests and rallies against it. Either it takes very little to shock people nowadays, "storm" means very little nowadays, or it is just hyperbole. 4. I feel bad for Arzei Levanon for being included in this. They are not even a yeshiva tichonit, though they offer a couple of classes as "chugim". As well, from what I understand, they asked rabbonim in advance and were told they'd be ok as long as they dont teach for bagrut and do the bit they wanted to do as chugim instead of actual obligated curriculum. At least one of the rabbonim signed on this pashkevi/letter is one of the rabbonim that said back then that he would not oppose them if they did that. 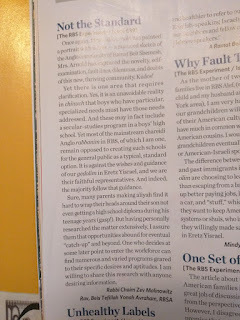 Now they get "lumped" with the yeshiva high schools, and get attacked by one of the rabbonim who said he wouldn't, and they even lose all the boys who want a yeshiva high school because they don't provide that - they lose on all sides, when they just tried to have a niche market and keep the rabbonim happy. 5. for Mesivta and Meorot, this, unfortunately, is part of the game. They are schools that are against the official position of the Haredi community, so even though the schools are populated by a Haredi student body, meaning Haredim (of some sort) want these schools and send their kids to these schools, the Haredi askanim have to mobilize the rabbonim every now and then to publicly oppose such institutions. If they didn't some people might forget that the rabbis are supposed to be against them. 6. I am surprised some other rabbonim are not on the letter. 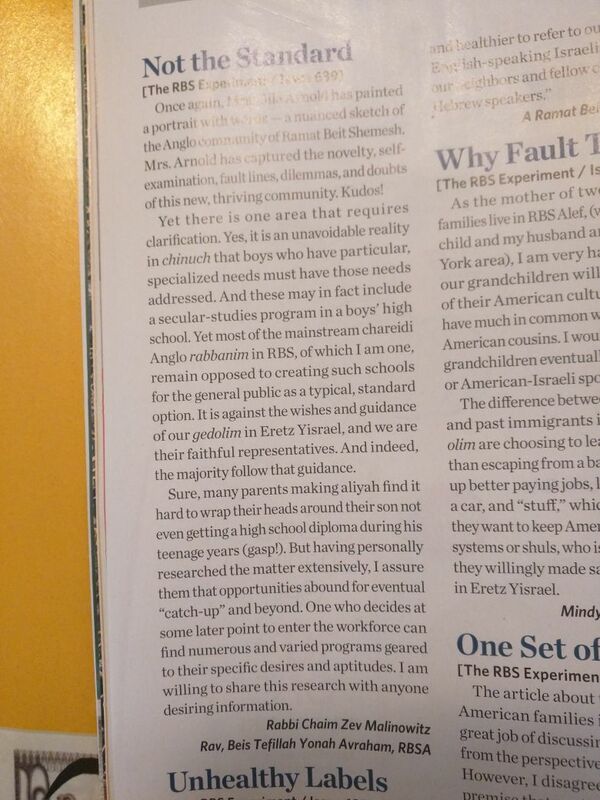 Considering a recent letter to the editor in Mishpacha Magazine by a local [American expat Haredi] rav making it clear that he opposes such schools because the gedolim do, I would have expected this rav and his peers to also sign on the letter. Maybe he (and the others) simply was not asked. a bus driver decided to give out sufganiyot today to his passengers, just for their smile and good energy! and happy Chanukah to you, Jared, Ivanka and family! 2. Jared looks like he isn't wearing a kipa. 5. pirsumei nisa. they aren't lighting in a window or doorway. I reject them all as as being distasteful and incorrect. It is distasteful to evaluate individuals on such a personal level. People live their lives as they see fit and as long as they aren't hurting anyone, just because they do things differently than you does not give you the right or ability to judge them. That being said, we all do just that too often, in some way or another, so i will lay out why I think the criticisms are wrong. 1. they are on vacation in Hawaii (as they publicized). Are they really meant to shlep their nice silver (assuming they have a silver menorah, as the criticism included they should have) thousands of miles across the country? I know wouldn't. 2. you definitely cannot tell from this angle. All we see is the front portion of his hair - not the top or back of his head. He definitely is not wearing a Buchari style kipa, but beyond that just because you don't see it does not mean it isn't there. 3. I try not to comment on women's clothes, but people wear what they want and like. They are Modern Orthodox, and not Haredi. And Modern Orthodox also has a wide range of styles. It isn't what I would expect my family members to wear, but frum women have worn such styles, especially on vacations - like it or not. 4. feh. When lighting cheap menorahs candles sometimes fall over. With kids lighting sometimes the candle gets burned down quickly or put out before put in the menorah. 5. perhaps pirsumei nissa needs to be revisited in today's day and age. Their Facebook post of this picture had over 140,000 likes. and probably more people even saw it without "liking" it. That is far more than the number who saw my menorah in my window and my neighbor's menorah outside by the door. Perhaps this is greater pirsumei nissa? Also, the Rama says clearly nowadays the pirsumei nissa is internal rather than external and we light indoors. As well, many chassidim light indoors not near a window but by the bedroom or elsewhere indoors. As well, we have no idea if this table is near a window or not - the picture offers a very limited scope of the room. did the UN vote cause chilul shabbos in Israel? Minister Yaakov Litzman registered a complaint with PM Netanyahu about the response by various ministers in the Israeli government to the UN vote on Shabbos. Litzman was perturbed that the ministers could not wait until after Shabbos was over to issue their responses but did so immediately, on Shabbos, thus desecrating the Shabbos in a governmental position, unnecessarily. Unfortunately the article in Behadrei provides no response from Netanyahu - neither saying he will make sure it does not happen again nor to the tune of explaining to Litzman why the responses were necessary and his complaint is unfounded. The only response brought is from Minister Yisrael Katz who explained that this was a dramatic decision dealing with Israel's international standing and affecting security issues and it required an immediate response through multiple channels. How important is an immediate response to a United Nations vote? It seems to me to be pretty important, but does it require responses from 4 or 5 different government ministers? Perhaps just the PMO, the Defense Minister and some sort of strategic, intelligence or other security-related position should be authorized to issue such statements on shabbos. What do you think - is this a good complaint or was he overreaching and making a mountain out of a molehill? I am not quite sure what the ramifications of the most recent United Nations vote against Israel are. I have read different things, but don't know what is accurate and what is hyperbole. Perhaps this resolution is against Israel and the "settlements" in the same way that previous resolutions were - they are a basis for pushing Israel to broker peace but practically no ramifications personally on any given Israeli. Or perhaps as some have written this makes all "settlers" engaged in criminal international activity and liable to be arrested when stepping on foreign soil - especially in most European countries. And, for this purpose, "settlers" would include anyone living in Gush Etzion, East Jerusalem including the Old City of Jerusalem, and many other parts of the country. Perhaps even people going to the Kotel to pray would be subject to such risks. Either way, I would like to see some unilateral action in response. I would like to see Israel push Trump to make good on his promise to move the embassy to Jerusalem. I would like to see Israel annex the rest of Judea and Samaria, and I am not sure about tearing up the Oslo Accords, but I would definitely not be upset if that was done. If the world will move unilaterally against us, it is time the right-wing government does what it was elected to do and ignore the world. I agree with the sentiment overall, and people (not just sem girls) inviting themselves over are often rude like that, but why is kashrut the only thing she isn't willing to discuss? or, rather, she is willing to preach to them on what she believes in, but she isn't willing to be challenged or questioned on anything.. I want you to imagine a day in the life of a 13-year-old Palestinian boy, I'll call him Ali. Yes, the Syrians are our enemy. Yes, the Syrians hate us (at least many of them do). But yet, there is a true humanitarian crisis going on there right now, and if we can help - not help the Syrian government, but help the suffering innocent Syrian people, then it is a good thing. Ignoring everything else Rav Shteinman and others at the anti-academic-education-for-women rally said, as this topic has been discussed ad nauseum already... isn't the phrase Rav Shteinman coined - a pig in a shtreimel - just totally awesome? Christmas trees are the center of discussion in Israel right now. Some hotels in Jerusalem that host Christian tourists who come to the Holy Land for the holidays want to serve their clientele and place a Christmas tree in the lobby. I guess they want to give them a holiday feeling. The Rabbanut, as it has done before, has warned the hotels to not place Christmas trees and to not host [Christian] holiday parties. While they did not say their kashrus certification would be revoked from any hotel that does so, they did send out a warning that placing such a tree is prohibited. As well, at the Technion in Haifa, the student organization decorated its lounge with Christmas decorations including a tree. A student complained, and the rav of the Technion has issued a psak saying that because the Christmas tree is a pagan symbol it is prohibited to enter the student lounge while the tree remains present. At the Hebrew University they will be having a ceremony to light a Christmas tree. In recent years on Facebook many Jewish (and frum) people talk nostalgically about how they miss Christmas from the US and discuss their favorite memories from the [Christian] holidays. On the Time of Israel blogs you have a post from their media editor, a Jewish woman, about how she never celebrated Christmas until she moved to Israel. There is a sad trend in Israel to try to connect with other religions and cultures. I don't really have much more to say about it, but it bothers me every year and unfortunately it seems to be growing as a trend rather than decreasing. According to NBC News, Germany has developed a program they call "Rent A Jew" as a method of fighting antisemitism. The idea is that helping people get familiar with Jews would give them an opportunity to overcome their prejudices, often borne out of lack of familiarity. Direct contact with Jews will help them overcome stereotypes. So, to help people become more familiar with Jews, they are getting different types of Jews to volunteer to visit school, universities and churches. Yes, despite the name "rent a Jew", they aren't even paying and want the Jews to volunteer. And they said Jews are cheap! some of the problems in the kashrut industry..
MK Stav Shafir gets today's FSotD for her comment on the budgetary consequences of the Amona agreement. If the people of Amona had true Zionism in their hearts, if they had true love of Israel - they would not take even a shekel of the money designated for them. They would be terrified from the thought that because of them money is going to be cut from the budgets for the poor, the sick, the disabled. Instead, they would announce that they are leaving Amona quietly and the 130million nis the government earmarked for them - on the backs of the education, welfare and health of everybody - they will give it to families in distress, to the elderly, to the Holocaust survivors, to children who go to school without sandwiches.. This would be true Zionism. This would be true love of Israel. To receive 130million nis, more than 3million per family, after breaking the law and threatening soldiers with violence - that is not love of the homeland, but it is extorting the homeland. with what money does Shafir expect these people to build new houses elsewhere? If the State is moving them and pulling them out of thir houses, paying for the relocation is the most minor of obligations the State has to the people. These aren't hilltop youth that just went and plunked themselves down on private property. These people moved to a community built and supported by the government, Evicting them 20 or so years later makes relocation funds (plus) a basic. As well, Shafir herself is receiving State monies on a monthly basis as a State employee. Should we say she, and her peers with similar beliefs, is not a Zionist because she is taking money from the State and not giving it to Holocaust survivors and families in distress? As well, are these not families in distress? People who built their homes and lives and are having that taken away from them forcibly by the State - if that isnt distress, what is? Look at the evacuees of Gush Katif and the high percentage of distress caused by that evacuation - the high percentage of people who have had difficulty finding work since the relocation, the high percentage of dropouts form school, the high percentage that have required communal assistance and continue to require it, the high percentage reliant on welfare services... are these people, who have to suffer the evacuation, also not considered families in distress deserving of Stav Shafir's attention and compassion? 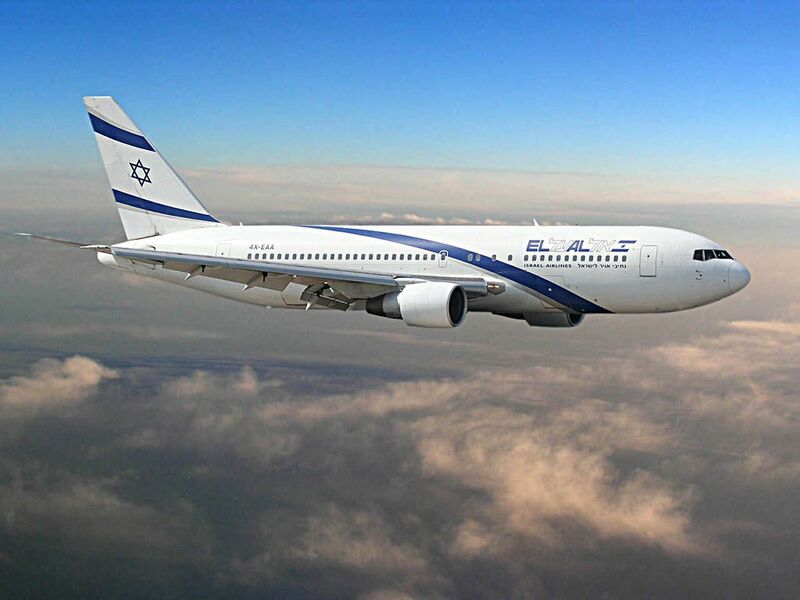 People are upset with El Al Airlines that a flight scheduled to land on Friday afternoon 2 hours before Shabbos experienced technical problems causing delays and ended up landing shortly before Shabbos, leaving them not enough time to get home before sunset forcing them to walk part of the way. There are some specific details, but they really are not all that important. DO NOT travel with an itinerary that has you land so close to Shabbos! The daylight hours of days are short right now and a flight landing at 2:30pm is very close to Shabbos! DO NOT blame El Al for your poor planning. You know Shabbos is coming and if you cared enough about it you would schedule a flight that either landed earlier or only travel after Shabbos. El Al should be responsible in this case just like any airline is in any delay and give a voucher or whatever to make up for the trouble of the delay, but as far as Shabbos is concerned - it is the fault and responsibility of each person who booked himself or herself a ticket on a flight scheduled to land so close to Shabbos. MK Tmar Zandberg (Meretz) has proposed a new law that would require public transportation to make announcements in Arabic. Municipalities will also be required by this law to hang signs, digital and regular signs, in Arabic along the public transportation routes. The proposal is coming as a result of a recent incident in Beer Sheva in which residents complained about an announcement that had been made in Arabic on a bus, leading to the removal of that language from the system. From Wikipedia I gather that there is no law in Israel defining the official languages of Israel, but the law leftover from the British Mandate has English, Hebrew and Arabic. That does not require everything to be done in all three languages, as it is not Israeli law, and attempts to turn it into Israeli law have to date failed. I do think it makes sense that in areas in which a significant number (that would need to be defined) of users of public transportation are Arabs Arabic would be included in the announcements. The saying used to go that the rules of common sense and decency can be found in the "fifth volume of Shulchan Aruch". There is no actual fifth volume of Shulchan Aruch, but the saying is a calling for people to not just use and rely on their book smarts but also to be menschlich, use common sense and be kind and fair to other people. Now people aspiring to be rabbis in Israel are going to actually need to learn, and be tested on, that fifth volume of Shulchan Aruch. According to a report on Kipa, the Rabbanut is soon (March 2017) going to require all applicants for semicha to also be tested in the issues and concepts of derech eretz and behavior between men. The test will include the laws of respecting parents, laws of tzedaka, lashon hara of the Chofetz Chaim, gneivas daas, verbal abuse, returning lost objects, paying employees on time, and more. Yariv Oppenheimer, Board Member and Former Director of Peace Now and Ari Fuld, Assistant Director of Standing Together; Israel Advocate speaking at ILTV studio to discuss the deal in regards to the evacuation of the Amona settlement. I just discovered an online auction site for rare Judaica items that I had not heard of before. It is called Jerusalem of Gold and most of the items on their website up for auction are rare manuscripts or letters from Rabbis of previous generations, but I did spot a few other items that are interesting. The site came to my attention from an article on NRG about a pair of glasses worn by the Chazon Ish - his "Shabbos glasses". Once I went to the site, I looked around and found a few other interesting items, the pocket-watch of Rav Elya Lopian, among other things such as artwork, silverware owned by the Rebbe of Boyan, a dollar and matza given by the Lubavitcher Rebbe (starting bid $770), and more. The story of these Shabbos glasses is that they were made to fit very tightly on the face of the Chazon Ish so that he would not have any concerns about walking outside while wearing them. It seems they considered, and his talmidim still do, the bending of the earpiece to surround the ear tighter to turn the eyeglasses into something considered a "begged" - a garment - and thus wearable on Shabbos for even the most stringent opinions.. Supposedly the person selling them received them from his father who received them from the Chazon Ish himself. He was a poor person and needed glasses. The Chazon Ish offered him these glasses saying that "today is only Wednesday and I have a few days to get new glasses for Shabbos, which is plenty of time. Take these Shabbos glasses as a present and I'll be fine"
The starting bid on the glasses is $2000. Ynet is reporting that a senior Palestinian official, Saeb Erekat, has warned that if Donald Trump goes through with his promise to move the US Embassy from Tel Aviv to Jerusalem it would destroy any prospect for peace.. I find it laughable that the Palestinian officials are talking about prospects for peace as if they are deep in negotiation. I find it laughable that they can warn that something, anything, might damage the prospects for peace. For the past 2+ years the Palestinians have refused to even come to the table and negotiate for peace, to talk to the Israelis. There is enough blame to go around, and I am not looking to assign blame, though the Palestinians have found every excuse to not come to the table, and while the Israelis have perhaps provided some of those excuses, the Israelis also made strong efforts at times to make strong gestures to persuade the Palestinians to talk. If the Palestinians refuse to talk, there are no prospects for peace. If there are no prospects for peace, moving the embassy won't destroy those non-existent prospects. Anyways, I have never understood why the US has not already moved the embassy to West Jerusalem, which is supposedly undisputed territory. Also, why not register US citizens born in West Jerusalem as having been born in Israel, but only mentioning Jerusalem in the birth certificate and passport. I understand avoiding dealing with the issue of East Jerusalem, but West Jerusalem? It seems the US policy puts questions on the entire Jerusalem, and not just on East Jerusalem. That being said, assuming Trump's plan, whether it happens or not, is to move the embassy to West Jerusalem, and I have heard that but don't know it to be the case, it should have no effect on "peace prospects", though we know it will be used as another excuse. According to reports, the City of of Jerusalem is giving out Christmas trees to celebrating Christian residents of Jerusalem. I have no problem with that, though some may. However, I would like to see the City of Jerusalem also give out menorahs, or chanukiyot, to celebrating residents of Jerusalem. I don't know why Obama needs to host two receptions of Chanukah, but he did..
interesting video Netanyahu just released.. When ever before did the Haredi community, via its public, its representatives, or its media, ever care so much about the Chief Rabbinate of Israel that it went out of its way to fight on behalf of it, or to speak out to defend its honor? When before did the Haredi community, via its public, its representatives, or its media, ever care so much about Sephardim that it went out of its way to fight on behalf of a maligned Sephardi Jew, or to speak out to defend his honor? Much of the Haredi press, especially the Hassidic-affiliated newspapers, all went out of their way to defend the honor of Chief Rabbi Yitzchak Yosef from the disparaging attacks by MK Elazar Stern. This must surely be an historic moment. This must surely be a significant moment. Former US Ambassador to Israel Daniel C. Kurtzer talks about the multifaceted threats facing the world order today and how they can be effectively combatted. A program of the University of Connecticut. The 36-year-old Israeli-American needs at least 30,000 votes to participate in a polar-dogsled competition. This whole issue with the dress code and female parliamentary aides being prevented from entering the Knesset is very strange, and I do not know what is the right course of action. The Knesset recently updated its dress code to include "short skirts", among other things, as being considered inappropriate dress. This past week a couple of parliamentary aides wearing dresses with the skirt hem reaching above the knee were prevented from entering the Knesset, because of the dress code, They were supposedly taken aside by Knesset ushers or guards and their skirts were measured with rulers. There is nothing wrong with the Knesset having a dress code. If they are going to ban "short skirts", or anything else particularly vague, they should really lock that down and define what is considered a short skirt. Is anything above the knee considered short? mid-thigh? maybe even mid-calf? Maybe women entering with skirts 2 inches above the ankle should be stopped for breaking the dress code? Who is to say what is short? As well, there must be a better way to deal with this than blocking people from entering and taking a ruler to their legs. That seems, to me, to be particularly demeaning, and even unprofessional. I don't know the solution, but the dress code has to take into account respectful dress acceptable upon society and be more specific. And people entering the Knesset premises, whether they are guests or whether they work there, need to follow the dress code. MK Elazar Stern (Yesh Atid) made some disparaging remarks about the qualifications of Chief Rabbi Yitzchak Yosef in the Knesset today. I have a recommendation - the MKs, along with everybody else, should talk respectfully about other people, including rabbis, and including people they disagree with. And, rabbis, and everybody else, should talk respectfully about other people, including people they disagree with. Just because Elazar Stern is a Member of Knesset does not give him the right to be personally disparaging about other people, especially clergy. And just because Yitzchak Yosef is a [Chief] Rabbi, and the son of Rav Ovadia, does not give him the right to be personally disparaging about other people. The Rabbanut courts have become experts at reversing important decisions that affect lives. Various rabbonim and courts have reversed, and attempted to reverse, conversions. The conversion reversals are already old news. Recently the rabbanut courts have been trying to reverse the granting of a divorce in Tzfat - the Supreme Court might not allow them to for procedural reasons, but the Rabbanut court has already ordered it reversed. And now, a rav is saying that immersions in the mikva by women in his city might have to be reversed and the women would need to re-toivel. Chief Rabbi of Kiryat Motzkin, Rav Dovid Meir Druckman, has decided to fire an Ethiopian woman who was recently working for the city's religious council in the position of a mikva attendant. It seems Rav Druckman raised doubts as to this woman's Jewishness and if she went through a proper conversion (as Ethiopians from Ethiopia were required to undergo conversion lchumra). Because her Jewishness is in doubt, it renders all immersions performed under her watchful eye as invalid - or at least in question.. The Rabbanut requires women to toivel in the presence of a balanit -a mikva attendant. Rav Druckman denies that his relieving her of her duties had anything to do with her being Ethiopian, but says she had been hired without first getting his approval while many other women have applied for these jobs and had been tested by him, yet she "jumped the line". He also denies having made an issue of her Jewishness, but explains that because he does not know her that was one of the questions he asked. Whatever his problem with the balanit, reversing tevila already performed seems crazy and against halacha. Either the woman toiveled or she did not toivel. The need for a balanit is important, but if a woman toiveled without one she is considered immersed and tehora, unless there was a known problem (such as hair not going under the water, among other possibilities). The Rabbanut stance is that a balanit is required, but the city councils have decided to not require it if a woman doesn't want one present.. which means whatever the Rabbanut stance, it is clear that it is not an absolute requirement for the kashrus of the tevila. So even if this woman was not a Jew, which is a ridiculous assumption with no basis, the immersions would all have been kosher. I do not know -can a non-Jew be an attendant at an immersion? The job is completely functionary, and not an issue of testimony, so I don't see why not, but I don't know if it is ok or not. If yes, then what is the issue here, even if she isn't Jewish (again, a ridiculous assumption to make)? And if the issue was not her Jewishness but just that she was hired through improper channels, why would that render all the immersions invalid retroactively (even if that were possible)? Because she had employment issues her supervision of immersions did not count? Israeli U.N. Amb. Danny Danon, Alan Dershowitz, and ZOA President Mort Klein are featured in JBS’s presentation of highlights of the Zionist Organization of America’s 2016 Annual Dinner from the Grand Hyatt in New York City. ban on tzedaka collectors at Kotel being lifted? The law proposal proposed yesterday by Minister Aryeh Deri regarding the decorum regulations in the Kotel area underwent some last minute changes. Deri acquiesced to the demands of tzedaka collectors and removed the reference in the law banning the collecting of tzedaka in the entire Kotel area. All those people would have been subject to fines of up to 10,000nis and/or up to 6 months in jail. 1. The gabbai tzedaka that protested to Shas MKs and pressured them to have it removed said, "It is is not possible that a person will be thrown in jail for collecting tzedaka". 2. I thought collecting tzedaka was already banned form the Kotel area, even though it was never actually enforced. 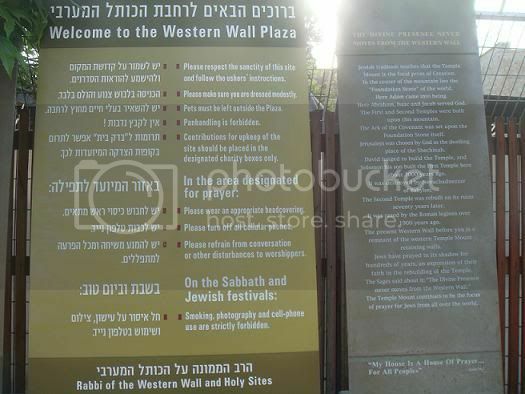 You can even see it as explicitly forbidden in the sign at the Kotel entrance.. so what changed, besides for the prison sentence - or maybe that alone was enough to worry them? And, if it won't be in the new law (if the law passes), will it be removed form the existing decorum sign boards? Will it be fully allowed or still banned but not punishable by fine and imprisonment? I do wonder what is going to happen on the Israeli side of this. Will our right wing government accept it and allow it to happen, as a right wing government should, or will they oppose it? Further, will this have any effect on the status of US passports and birth certificates issued stating Jerusalem without being followed by the name of the State - , Israel... or will this just be the Embassy?